It's one of the world's largest natural harbours and easily one of the most beautiful - a glittering swathe of blue that defines Australia's biggest city. 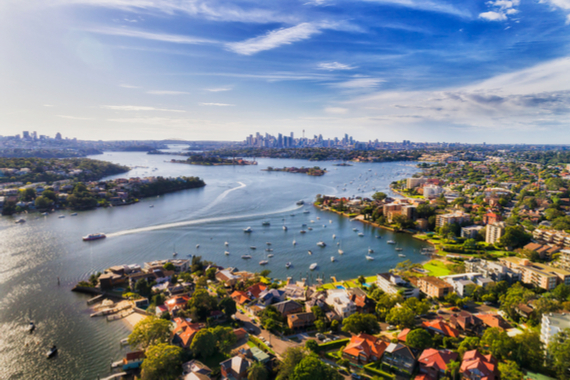 Rent a yacht, book a kayak or just jump on a ferry; these are some of the top ways to enjoy Sydney Harbour. Enjoy Sydney’s stunning harbour as the Shopper Hopper ferries you between great shopping destinations, fabulous dining venues and famous attractions. The Shopper Hopper is an exclusive direct shopping ferry to Sydney's largest brand outlet located on Sydney Harbour. 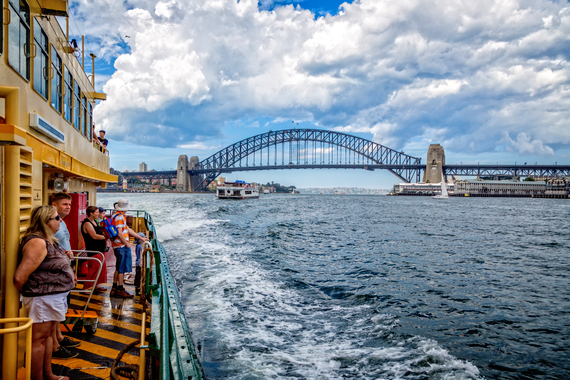 Jump on board from Circular Quay or Darling Harbour to enjoy a scenic 20-minute journey past some of Sydney's icons like the Sydney Opera House, under the Harbour Bridge and past Luna Park. Birkenhead Point Brand Outlet has over 140 brands across three levels overlooking Sydney Harbour with up to 70% off. Shop at your favourite International brands including Coach, Bally, Michael Kors, Nike, Ralph Lauren and Tommy Hilfiger as well as discovering popular Australian brands such as Mimco, Ginger & Smart, Oroton, a, Peters of Kensington and Cue. We recommend to book online to secure your seat. Tickets are $13 one-way or $22 return. Children aged 0-4 ride free of charge. For more information and to book, please visit shopperhopper.com.au/tickets. Nothing says ‘luxury’ quite like renting a private yacht. On Sydney Harbour, you can get a compact motor yacht for just a handful of people or splurge on a glamorous superyacht for 1000 of your closest friends. Cruises will depart from one of the many marinas around the harbour and the itinerary is completely up to you. Sail past the crowds at Circular Quay, stop for a swim at Camp Cove, see the naval ships docked in Woolloomooloo, peek into the waterfront mansions at Vaucluse or watch the sun set over the Harbour Bridge. The yachts come with an experienced skipper and (depending on size) a crew, and can be fully stocked with water toys, food and, of course, champagne. Ferries have been running on Sydney Harbour since 1789 when a service connected the colony at Sydney Cove to the farming settlements at Parramatta. Today, the iconic yellow-and-green vessels (alongside some sleek new models) cruise all across the city from Palm Beach in the north to the Eastern Suburbs and along the Parramatta River. The route from Circular Quay to Manly is the most popular – and with good reason. It's a 30-minute snapshot of the very best of the harbour, cruising close to the Bridge and Opera House, along the leafy North Shore and past tiny secluded bays. If you’re lucky, you might even see whales. You can also get to Cockatoo Island, Taronga Zoo, Watsons Bay and Darling Harbour, some of Sydney’s best spots for a day out. If you’d prefer to see a slice of the harbour under your own steam, consider a kayak. From a kayak, you’ll get a completely different perspective, paddling up close to the shore and discovering hidden coves, sandy beaches and impressive yachts bobbing at anchor. Middle Harbour is known for its wildlife and you can see herons, cormorants, sea eagles, little penguins and even the occasional seal. Kayaks are available to rent at Manly and the Spit Bridge in the north, Rose Bay in the Eastern Suburbs and Annandale in the Inner West for a small fee, usually about $25 an hour. The water is calm and the paddling easy, though you can join a tour if you would prefer to go with a guide. Sydney is one of Australia’s top fashion destinations so, if shopping up a storm is on your to-list, consider taking the scenic route. The Shopper Hopper boat runs between Circular Quay and Harbourside and Birkenhead Point shopping centres. The journey takes 20 minutes and cruises under the Harbour Bridge, past Cockatoo Island and Luna Park, and beside the new development at Barangaroo. A one-way trip is $13 or return is $22.